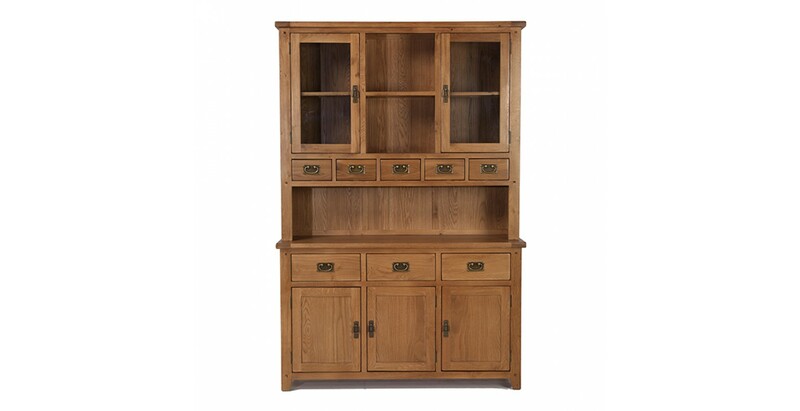 Bring this head-turning farmhouse-style dresser to life with all your plates, cups, cutlery and glasses and it will be an impressive sight in your kitchen. 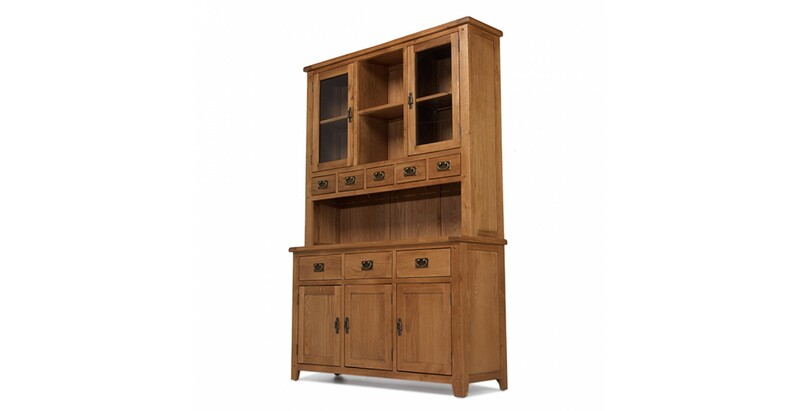 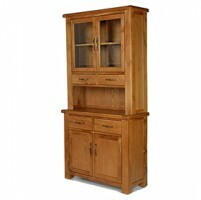 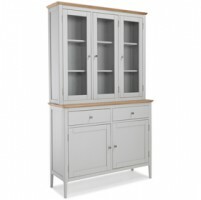 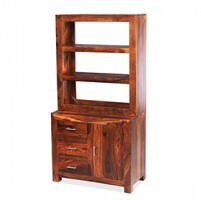 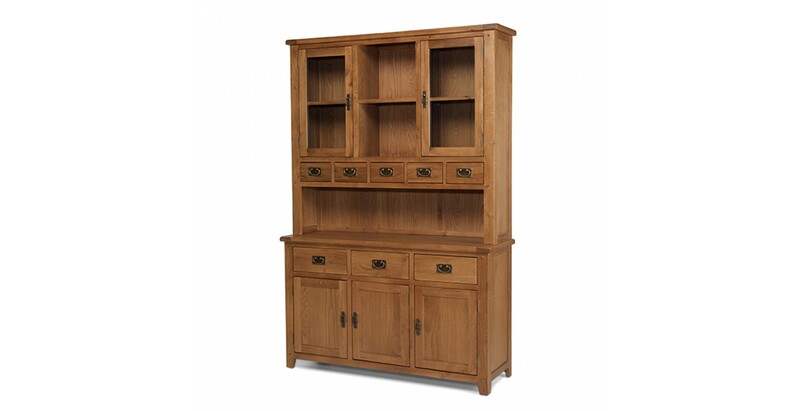 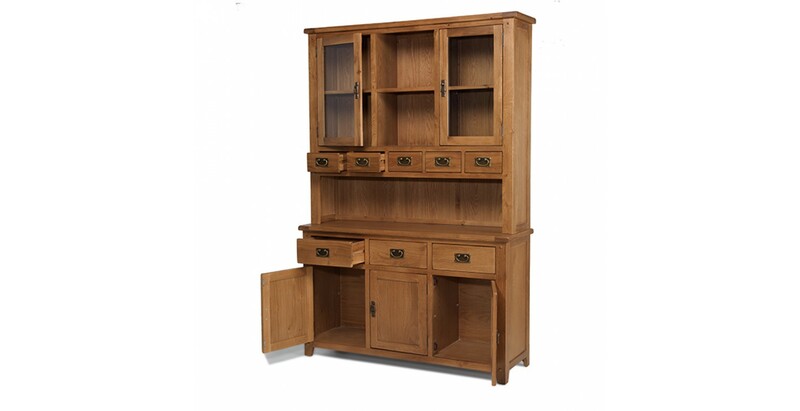 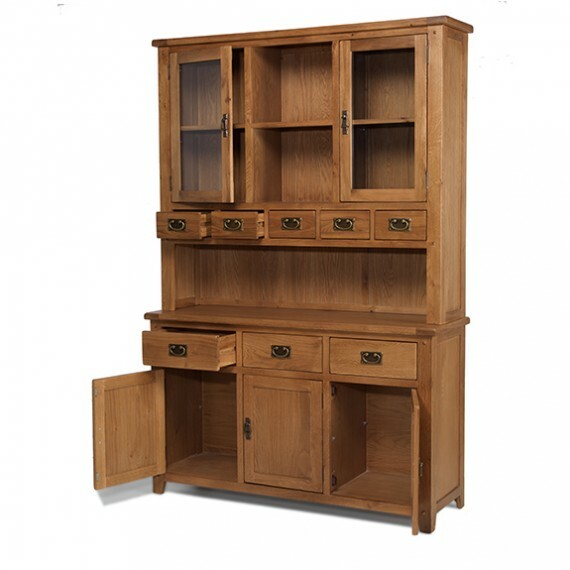 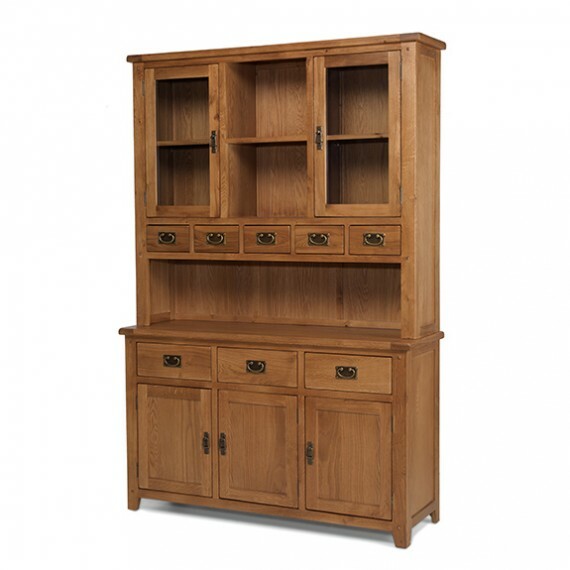 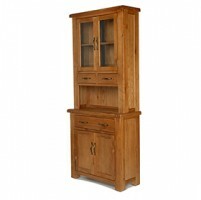 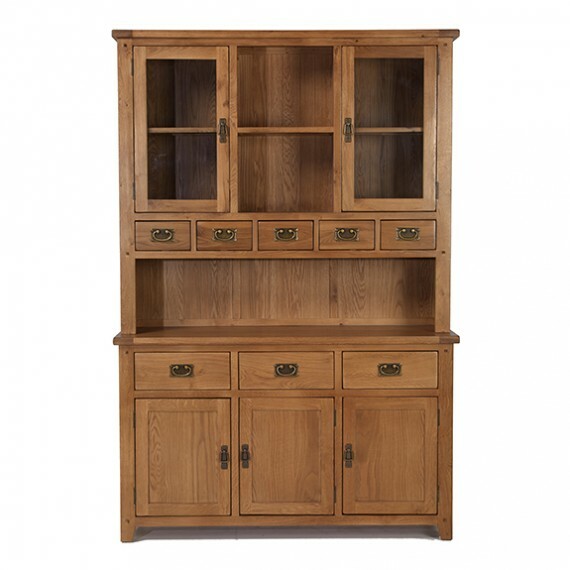 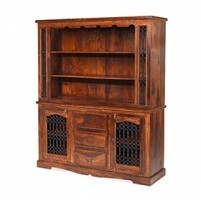 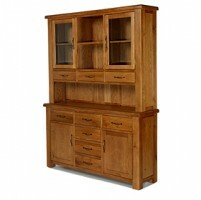 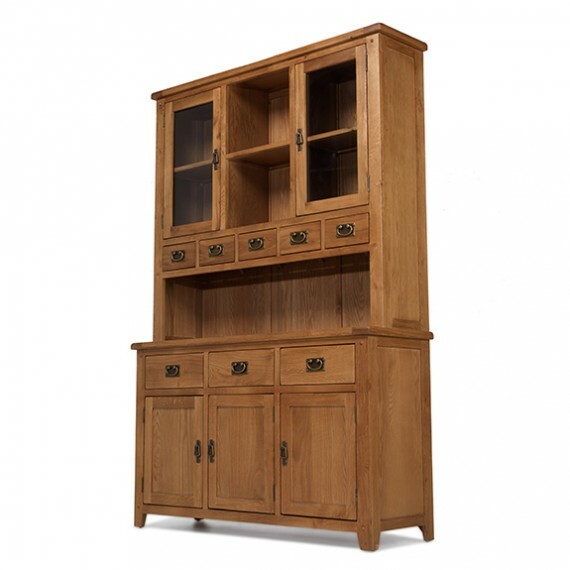 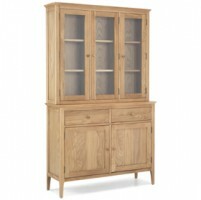 Built to last from solid pieces of oak and strengthening oak veneers, it has a multitude of drawers, cupboards and shelves to keep everything organised and has been finished with a natural lacquer to show off its uniquely grained rustic warmth and character. 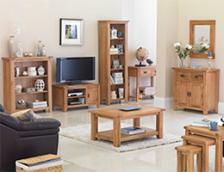 Antique-effect drop handles, attractive peg detailing and softened corners add to its homely charms.